Welcome and thank you for visiting Adlington Folk Dance Club’s website. Please use the navigation aids above to find out more about us. 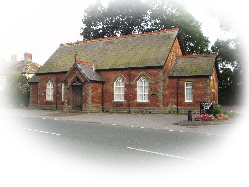 Club nights are every Wednesday evening at Adlington Village Hall from 8:00 – 10:00pm. On club nights we dance English country dances to recorded music. Three or four times a year we hold social dances at which we dance to live music. The club has a section of dancers who perform in period costume at events home and abroad. The Adlington Folk Dance Club is affiliated to the English Folk Dance and Song Society.